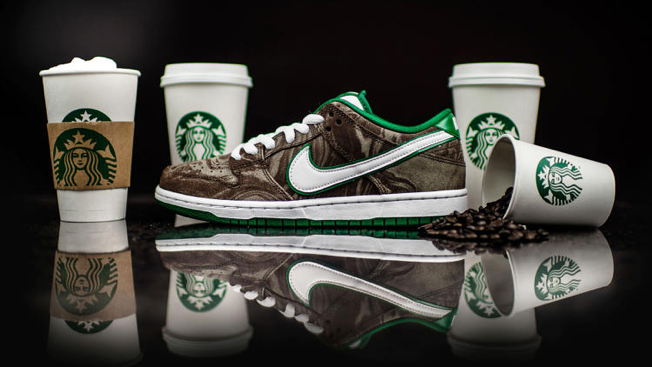 There's probably a sizable crossover between people who drink Starbucks regularly and people who wear Nikes. 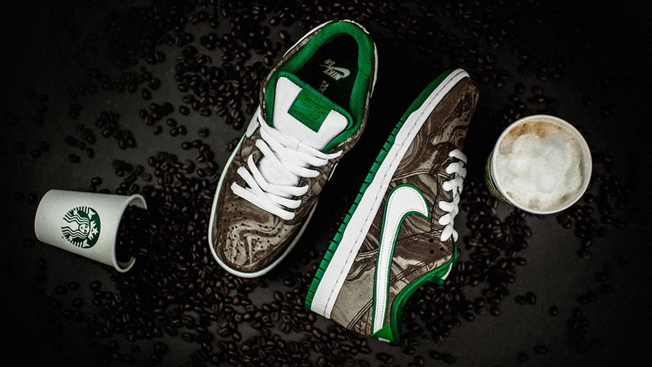 But unless they also like ugly shoes, the Nike SB Dunk Low sneaker is going to be a bust. They're like a companion piece for the equally baffling Nike Krispy Kreme and waffle-inspired sneakers, but there's otherwise no pressing reason for this pairing. It falls in line with a recent trend of apparel brands making junk-food-themed stuff, which in and of itself is kind of embarrassing.